The Basic Electricity course provides an in-depth look at the fundamentals of electricity. Module one provides students with an overview of how electricity is produced, a description of conductors, insulators, and semiconductors, and an explanation of the fundamental laws governing the behavior of electricity in a circuit. The second module focuses on how electric circuit works and introduces the two types of electric circuits, AC circuits and DC circuits. The module also covers series and parallel connection, explains Thevenin’s Theorem and Norton’s Theorem, and provides the steps for connecting a Multimeter to measure current and voltage. Electromagnetism is the main topic of module three. Students will be exposed to define key terms and describe electromagnetic induction along with Faraday’s law and Lenz’s law. In module four, students are presented with an overview of the basic passive circuit components, which include resistors, capacitors, and inductors. The functions and classification of these components are covered along with information regarding the processes used to select the most appropriate type of component for different purposes. Modules five and six are more advanced as they focus on the fundamentals of solid-state devices and circuits. 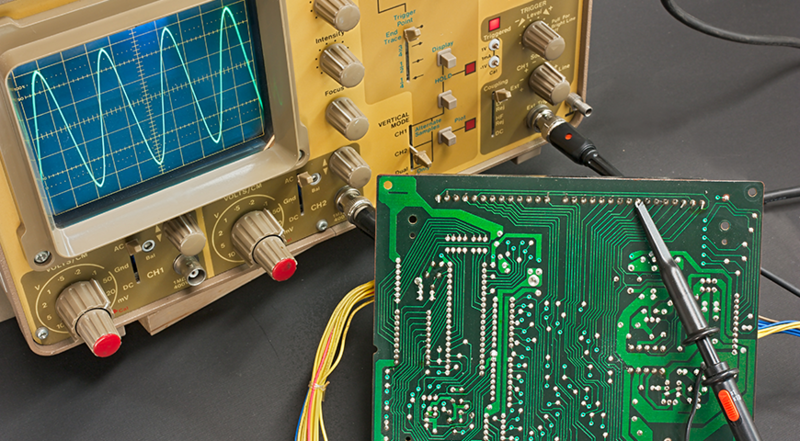 In these modules, students learn the classification of electrical materials based on electrical conductivity, the semiconductor materials and their properties, and the basic operating principles of semiconductor devices such as diodes and transistors. The module content will also offer information needed to make informed decisions regarding the selection of devices in the design of digital electronic circuits. Energy storage, circuit protection, transmission and distribution are the main focus areas in modules seven and eight. These modules discuss different types of electrochemical cells and batteries and the importance of circuit protection. Students will also learn about the most common types of power plants as well as alternatives such as renewable energy. Modules nine, ten and eleven focus on the types and working principles of DC and AC machines. The final module provides learners with a description of three-phase power systems and the benefits of both Delta and Wye systems. Students will also learn how to measure three-phase system power through the use of Watt Meters.